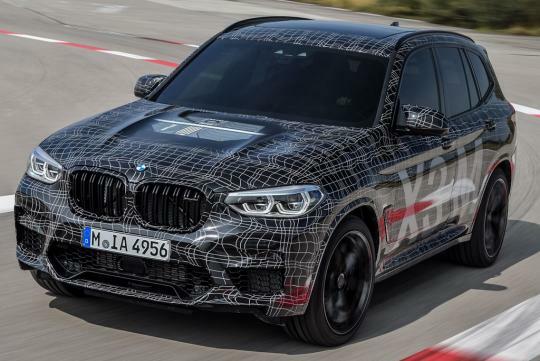 BMW's M motorsports division is developing high-performance X3 M and X4 M compact SUVs to serve as halo models for the X3 crossover and its slant-back sibling, the X4. 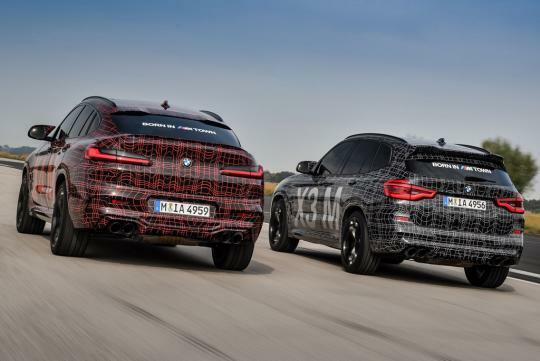 Prototypes of the new M models were seen at the Nürburgring racetrack in conjunction with the DTM race last weekend, wrapped in what must be the least effective camouflage ever, with "X3 M" and "X4 M" rendered in giant letters on the side. Regular readers may recall that this is not the first time the X3 M has been seen on the 'Ring, which BMW characterizes as "the traditional setting for the completion of the ultimate testing and tuning programs for the specific overall M package comprising drive system, suspension, and aerodynamics." 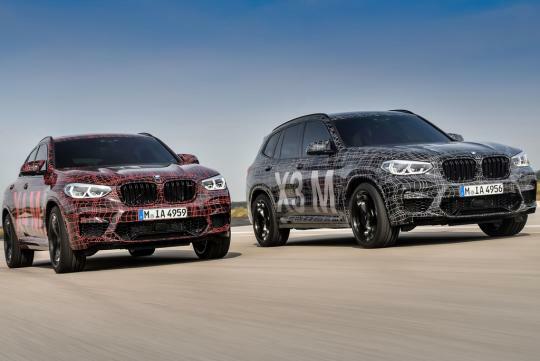 While BMW hasn't released too much specific information about what makes Frank van Meel, head of BMW M, so confident that the X3 M and X4 M will "will set benchmarks in terms of dynamics in their respective vehicle segments," BMW did call attention to the prototypes' enlarged front intakes, revised aerodynamics, and quad tailpipes as visual indicators of their status as true M models. 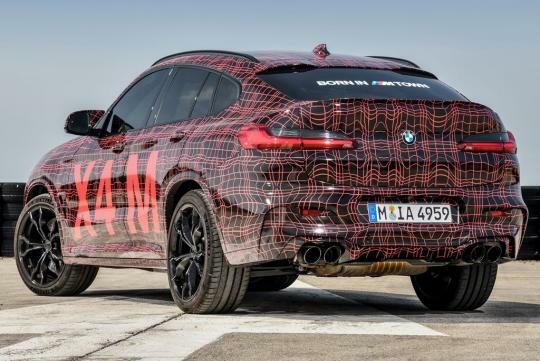 BMW also says that the vehicles will debut with a "newly developed straight-six-cylinder engine with M TwinPower Turbo technology and high-revving characteristics," with output that should vault past the current M40i versions' 355 horsepower. 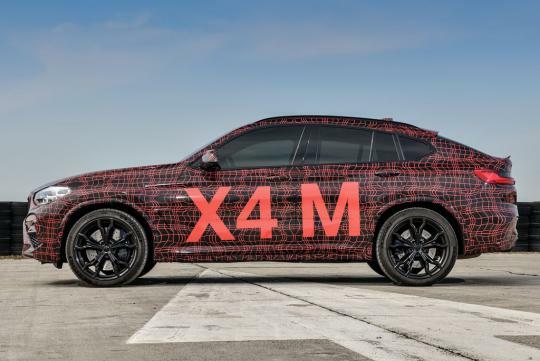 The top-dog X3 and X4 also will have an active M rear differential and M-specific all-wheel-drive technology similar to that found on the larger X5 M and X6 M SUVs. If, as van Meel claims, the new M models' dynamics are indeed to set the benchmarks in their segment, they'll have to outdo some strong competitors, including the Mercedes-AMG GLC63, the Porsche Macan Turbo, and Alfa Romeo's sensational Stelvio Quadrifoglio. The latter's incredible record-setting 7:51.7-lap of the Nürburgring's 12.9 miles one year ago still stands as the fastest time among SUVs. Expect the X3 M and X4 M to charge into showrooms next year as 2020 models.